Find a Big Band / Orchestra for hire near you in minutes! Option 1. Enter your event location below & contact a Big Band / Orchestra directly! Option 2. Request multiple quotes from available Big Bands & Orchestras Get Quotes! Option 3. Read information & advice on hiring Big Bands & Orchestras Read Advice! WANT TO KNOW MORE ABOUT BIG BANDS AND ORCHESTRAS? Read on for the most comprehensive guide to booking Big Bands and Orchestras, including how much Big Bands and Orchestras cost, exactly what they will do at your event, plus tips, advice and information to help make your event one to remember! 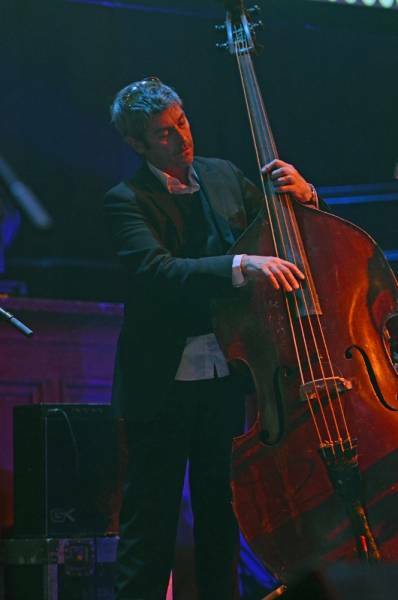 Hire a Big Band and an Orchestra and you will get a group of musicians who will blow, strum and pluck their instruments to give you a massive sound at your event! What exactly will Big Bands and Orchestras do at your event? When you think of Big Bands and Orchestras, you may think of the great swing era Jazz bands from the early 1930’s until the late 1940s. You may also think of the types of Jazz ensemble that would accompany Frank Sinatra, Dean Martin, and Sammy Davis Junior, also known as The Rat Pack! So you can expect a vast amount of songs from that golden era of Big Band music! You can also expect a Big Band and Orchestra to play modern hits as well, putting a vintage twist on many of todays chart favourites! Whether it’s Justin Bieber, Kanye West, Adele or Rhianna, a contemporary Big Band and Orchestra will consider artists from every era! Mainly, Big Bands and Orchestras will entertain your audience with a fantastic live show that will put the wow factor into celebrations and impress your guests, whatever their entertainment tastes may be.What event types are Big Bands and Orchestras hired for? What event types are Big Bands and Orchestras hired for? If you like your music to be full of cellos, trumpets, violins and saxophones, then you may want to hire a Big Band and Orchestra for your wedding ceremony! Big Bands and Orchestras are well known for playing the biggest hits from the 30's until the modern day! The Big Band and Orchestra can play Jazz instrumentals of famous romantic hits as your wedding guests are pouring into the wedding venue and they can then go on to play something special as the bride walks down the aisle. (May we suggest ‘Can’t Take My Eyes Off Of You’ by Frankie Valli!) Hire a Big Band and Orchestra to then pay something celebratory as the nuptials are agreed and as the newly announced husband and wife are walking out! The wedding drinks reception is an ideal time to hire a Big Band and Orchestra to entertain your wedding guests because of the light, airy and upbeat sounds a Big Band and Orchestra can provide! The Big Band and Orchestra can be set up to play inside the wedding venue or outside, under a marquee perhaps. The Big Band and Orchestra can be set up to play great, well known music as your wedding guests come into the wedding breakfast venue! They can play instrumental versions of world famous songs that all of you wedding guests will know, and they can also play with a singer if you wanted then to play full on covers of songs instead of background music! If you are looking for a contemporary act to entertain the wedding guests at your wedding evening reception, then you may want to hire a Big Band and Orchestra to play for the evening! The Big Band and Orchestra will get everybody up and jiving to the jazzy sounds of Glen Miller and the fantastic Jazz and Orchestral music popular during World War 2! The contemporary Big Band will cover modern hits as well as traditional Big Band songs, so they will appeal to wedding guests of all ages! 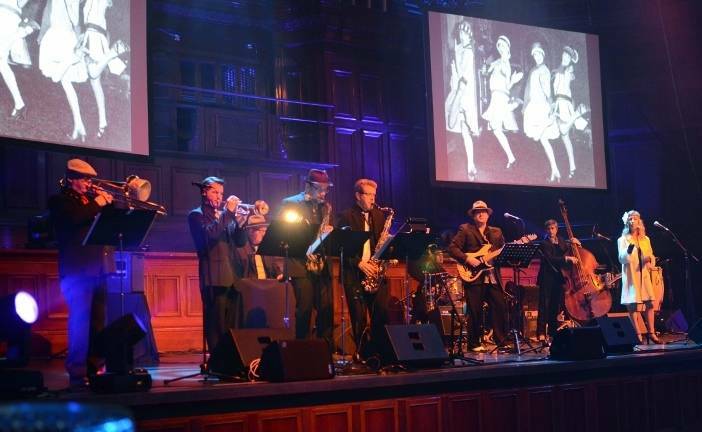 Hire a Big Band and an Orchestra for your corporate event such as an annual work party and you won’t be disappointed! 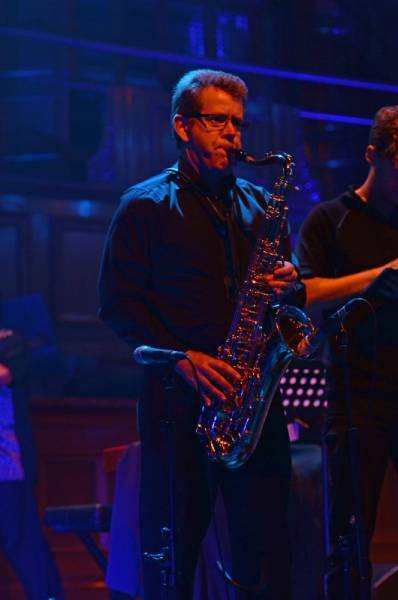 The Big Band and Orchestra can bring that magic swing sound to your event with great versions of classic songs such as ‘I Get a Kick Out Of You’, ‘In the Mood’ and ‘Somewhere Across the Sea!’. Perfect for a colleague’s leaving party or a work Christmas party. Also, you may want to hire an Orchestral Band or a Jazz Band to play the best Big Band songs in the world at your trade event or product launch. Potential clients will love the bright and brassy sounds of the Big Band and Orchestra, who will more than likely be dressed up in classy suits and dresses to go with the classic sounds! A Big Band and Orchestra will also be great for shopping centre entertainment and festivals, bringing that sunny Big Band sound where ever they go! We also recommend hiring a Big Band and Orchestra for corporate awards ceremony entertainment, playing bursts of Jazz between awards! Looking for musical entertainment for your party? A Big Band and Orchestra will make for great, live background music at your event such as a cocktail party or a dinner party! The professional musicians will also be fantastic entertainment for a birthday party or anniversary and will be able to put on a full on musical show with singers who will be backed by the best Big Bands and Orchestras in the area! If it’s good enough for Frank Sinatra…! How much do Big Bands and Orchestras cost to hire? Our simple to use entertainment directory allows you to firstly search for the best Big Bands and Orchestras who are local (or travel to your area) and then via the contact form you may message them directly to enquire for a no obligation quote to perform at your event. Some acts will also add a rough price guide to their profile for your convenience. What are the usual set formats and performance lengths for Big Bands and Orchestras? Big Bands and Orchestras can tailor their performance times to suit you and your event, however, on average professional Big Bands and Orchestras will perform for two 45 minutes sets. How much space will Big Bands and Orchestras need at your event? This will depend on how many musicians the Big Band and Orchestra has. We would advise to contact the act personally using our messaging service to enquire. What equipment and set up requirements do Big Bands and Orchestras need? As with most artists who sign up to Entertainersworldwide.com, Big Bands and Orchestras will provide all of their own equipment. You may want to enquire if an artist needs a PA to amplify their sound, in which case we would advise to use our easy to use messaging service to find out. We do ask that each performer gets a backstage area in which they can prepare for the performance ahead. If your venue does not have a backstage area, then we kindly ask that you enquire with the venue to seek an alternative space in which the performer can comfortably get ready to entertain. How can you find and book Big Bands and Orchestras with Entertainersworldwide.com? WANT TO RECEIVE A RANGE OF QUOTES FROM Big Bands & Orchestras?